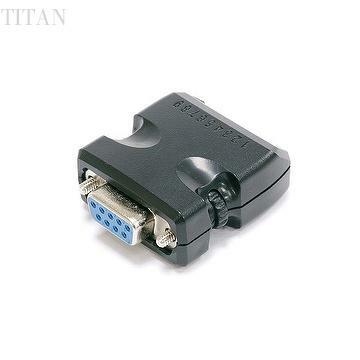 This TB-99 DB9 female to screwless 9-pin terminal block adapter provides a convenient and quick solution to convert a DB9 male serial port to a 9-pin terminal block for easy and fast wiring in RS-422/485 applications. The terminal block provides complete data signals for connecting RS-422/485 field wiring to a serial port. The nine signals of the terminal block are connected directly to the 9 pins of the DB9 female connector, and they are marked on the enclosure for easy signal identification. 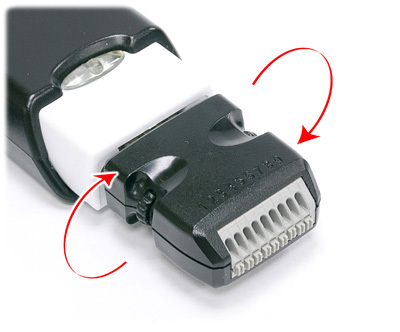 The adapter is featured with screwless terminal block with spring clamps for easy connection and release of wires. User can turn the thumbwheels easily to lock the adapter securely to the serial port. The compact adapter design allows multiple TB-99 adapters to be added to the serial ports of all types of multiport serial boards, Ethernet to serial device servers, USB to serial adapters, RS-485 converters and many other serial devices without interference mechanically. 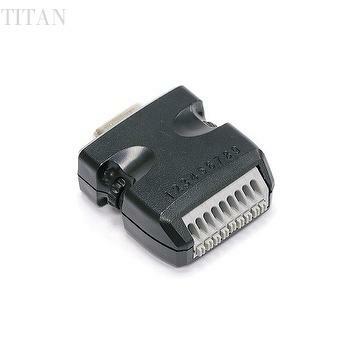 This Mini Female DB9 to Terminal Block Adapter can convert all manufacturers' serial DB9 male connector to terminal block supporting full 9 signals for easy wiring. 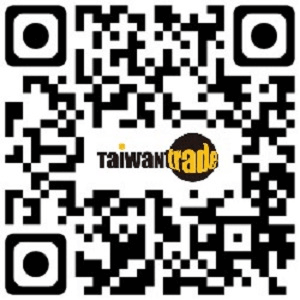 Ms.Emily An , TITAN ELECTRONICS INC.